Looking for a Disclosure Packet Request Form? If you're selling your home, you need to request a Disclosure Packet Request Form prior to going to closing. If you need to request one, please click here, fill out the form, and mail it to the address on the form. To view the most recent Cardinal Chatter, click here. To view the 2018 CGHA Calendar, click here. Please do not store recycling/trash receptacles, bikes, ladders or the like around your townhome as they are vulnerable to theft and detract from the attractiveness of the neighborhood. Your cooperation is requested by storing these items in your backyard (inside the fence) or inside your townhome. Landlords, please pass this on to your tenants. On December 8, 2008, the Fairfax County Board of Supervisors passed a resolution incorporating Ashbridge Court into the White Oaks Community Parking District to prohibit on-street parking of the following vehicles: watercraft, boat trailers, motor homes, camping trailers, or any other trailer or semi-trailer, regardless of whether such trailer is attached to a vehicle, any vehicle with three or more axles, any vehicle that has a gross weight of 12,000 pounds or more, or any vehicle designed to carry 16 or more passengers, any vehicle designed to transport hazardous materials. The prohibition is in effect 24 hours a day, 7 days a week. For a more complete statement of the prohibition, and any exceptions, please refer to section 82-5B of the Fairfax County Code. How often have you seen something in the neighborhood that you may have wanted to bring to someone's attention, but forgot about it after a short time? 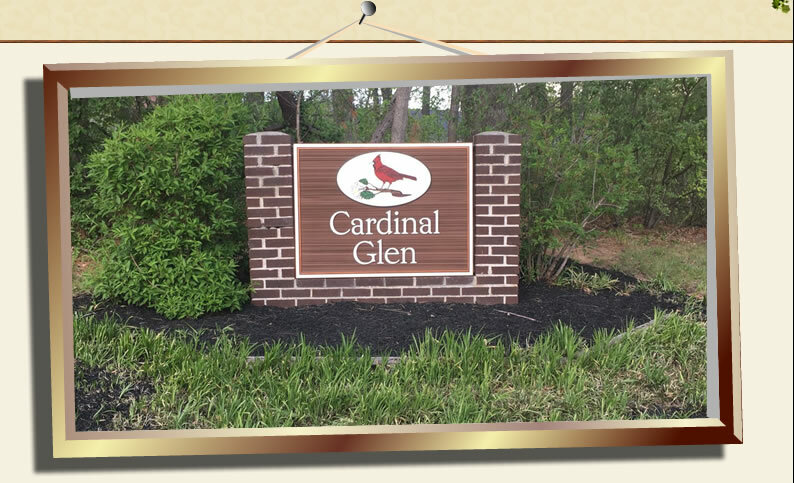 Now you have the opportunity to put your thoughts down and submit them to the Cardinal Glen Board of Directors. Use the Resident Input Form the next time you want to correspond with a Board or Committee member. Upcoming Events is not installed.